National Law University, Jodhpur is one of India’s premier law schools, situated in the vibrant and colourful city of Jodhpur, Rajasthan. It was established in 1999 as part of a broader vision of excellence in legal education through innovative methods of learning and focus on interdisciplinary studies. 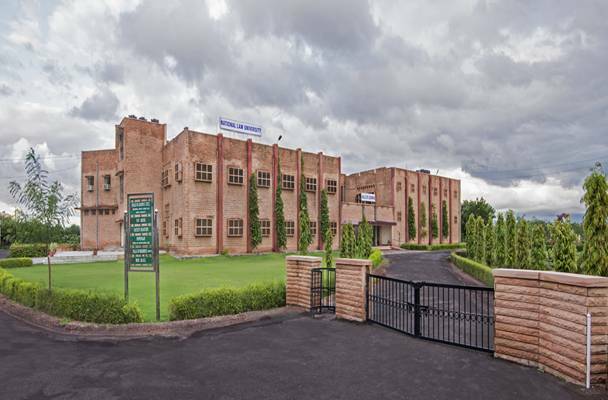 The University offers three unique five year integrated undergraduate programs i.e. B.B.A., LL.B.(Hons. ); B.A., LL.B.(Hons. ); and B.Sc., LL.B.(Hons.) to generate specially skilled global legal professionals. These integrated programs offer highly demanding honors courses in various facets of law such as Constitutional Law, Business Law, Trade Law, International Law, Criminal Law and Intellectual Property Rights Law. The University’s one year LL.M. programs in Corporate Laws, IPR Laws, International Trade Laws, Banking and Finance, Cyber Law and Cyber Security aim to harness young talent for reaching the pinnacle of legal perfection. The University also offers LL.D. and Ph.D. programs. The diverse student community consists of the highest ranking students throughout the country, selected on the basis of a competitive entrance examination. The faculty comprises of both young and experienced academicians who have received their education at the best universities within India and abroad and have contributed to the growing body of legal academic work.